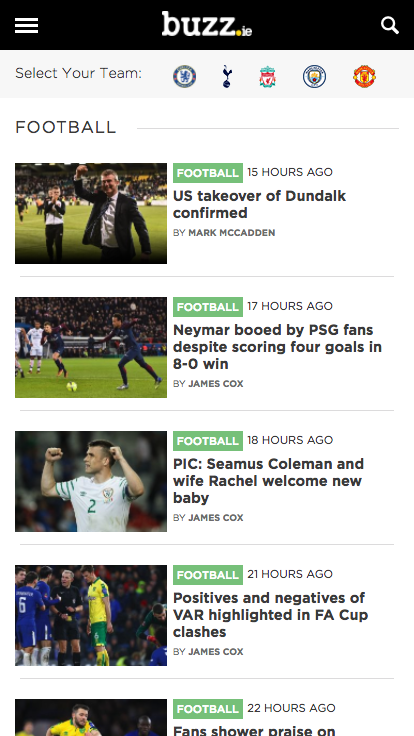 Buzz.ie is Ireland’s newest, best and brightest website. 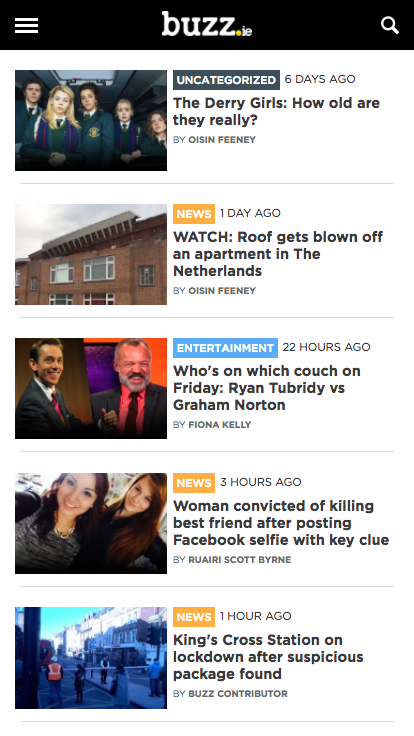 From breaking news at home and abroad, to covering all things movies, TV, music, games, tech and sport - we write about all the latest trending stories that are happening in the world right now! 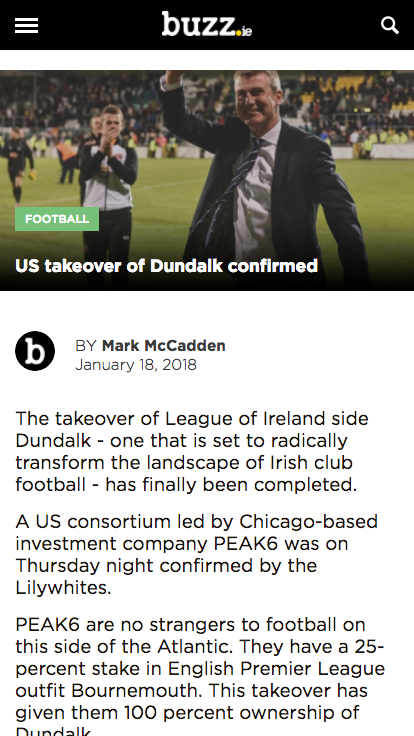 They are one of the fastest growing websites in Ireland with an ever-increasing fanbase, as seen from their 100K Facebook Fans and 1 million unique users per month. 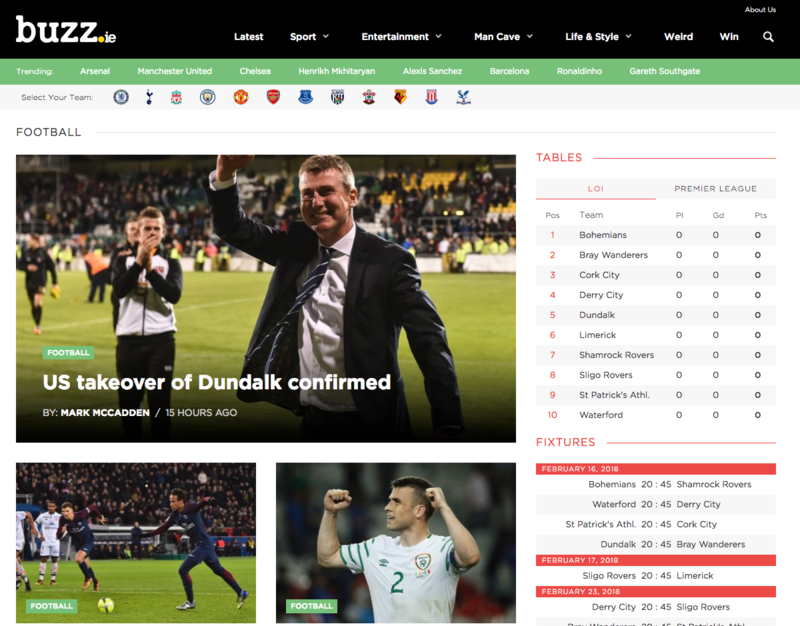 Square1 were commissioned by Buzz to design and develop a mobile responsive website along with mobile apps for both iOS and Android platforms. The new site and apps are fully integrated with Google DFP ad server. 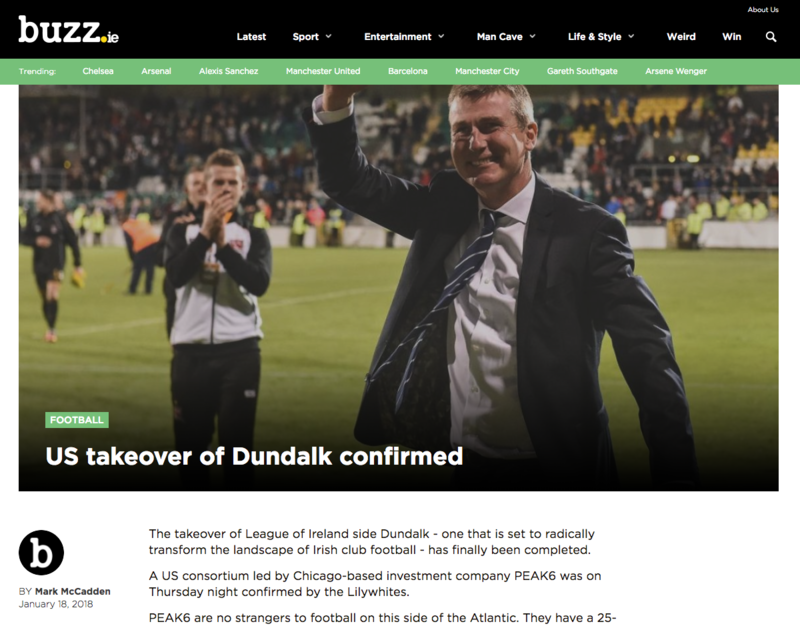 This allows the team at Buzz full control over site wide sponsorship integrations. Football league tables, fixtures and live scores are also now fully integrated into the new system.